The month of February has become synonymous with undertaking the dreaded detox after bidding farewell to the holiday and silly season festivities for another year, but it seems just as many folks argue the annual cleanse is a total waste of time, money and effort and unnecessary for our health, even dangerous! The fact is we live in a fast paced world and many of us complain of feeling ‘overloaded’ and overwhelmed with clutter – be it mental clutter from information overload from technology, social media and the internet, or juggling work and home life with some sort of social life, through to physical clutter from acquiring too much ‘stuff’. Just like our lives can get overwhelmed and over cluttered, so too can our body! Whilst the human body is designed to function like a well oiled machine, most of us drive our car’s better than we do our body! We wouldn’t dream of putting low grade, or dirty fuel into our car engine, let alone miss the annual car service at the garage, yet many of us don’t give a second thought to the ‘dirty fuel’ we chomp, guzzle and breath into our body’s! Over time, toxins from eating processed foods, too much alcohol, coffee and sugar, in conjunction with the thousands of chemicals we expose our body to on a daily basis through personal hygiene and skin care products, medications cosmetics, household cleaning and gardening products and environmental pollutants, place huge stress on our body’s inbuilt detox organs – the liver, kidneys, lymphatics and of course the bowel. The issue today is the amount of toxins we’re exposing ourselves to – and largely unknowingly, which is placing increasing strain and pressure on our body to process and eliminate these toxins from our body. Another but lesser known source of toxicity, is caused by undigested food from poor digestive function – a phenomenon that has become more the rule, than the exception nowadays. Over time undigested food particles begins to accumulate within our body placing stress on our digestive organs and impairing their ability to function optimally. The impact of accumulated toxins, be it mental or physical, will inevitably impact on our body’s ability to function efficiently day to day, not to mention increase our risk for developing common lifestyle diseases further down the track. So where do all these toxins come from and what can we do about minimising our exposure and the impact they have on our health? Well let me start with this line of questioning… do you drink coffee every day, regularly consume alcohol, smoke, consume fast or processed foods high in sugar, or artificial ingredients – hello aspartame, lather your skin with chemical based cosmetics and beauty products, eat like it’s your last meal whilst multi tasking 5 things at once, drink water with your meals, or live in a busy city? If you answered YES to more than 2 or 3 of these then congratulations you qualify for a detox! It’s enough to make you feel overloaded just reading about it! But for those of you who are watching what you eat, are using organic natural skin products and go easy on the coffee and alcohol, what you may not realise is that much of your toxicity could be generating from within. Let me ask you this……do you regularly experience bloating, flatulence, fatigue after meals, constipation or lose bowels? If you answered yes to any of these questions, then chances are you are struggling to digest your food effectively, which in turn accumulates within the intestine and literally rots over time – aka the bloating and flatulence. This nicely accumulated mass of undigested food can then clog the passage for waste to be eliminated. These issues are the underlying cause for some of the most common ailments people complain of, including fatigue, irritable bowel syndrome, Candida /thrush, bad skin and breath, PMT, poor cognitive function – including grumpy moods, (better known as ‘sh*# on liver) and poor immune defences. But it’s not just our intestines that become over loaded when we accumulate too much ‘junk’. Our liver will be required to ‘up the ante’ to process the accumulated toxins from within, let alone any external toxins you may be throwing down your throat, slopping on your skin or breathing up your nostrils! It’s a sad phenomenon that comes with living in a modern day society, where we can no longer rely on our body’s innate ability to process & eliminate toxins efficiently. The reality is we simply did not eat the rubbish that so many of us throw down our gob today and this is one of the greatest contributing factors to our digestive system struggling to function the way it was intended. Then there is the environmental toxins we are commonly exposed to – pesticides, herbicides, smog, exhaust fumes, nicotine, caffeine, genetically modified foods, BPA – that nasty chemical used in plastic drinking bottles, has turned many of us into a walking contraceptive pill or xeno (foreign) estrogen. The humble soy bean is another source for excess ‘xeno oestrogen’ exposure, used as a cheap ingredient in a stack of processed foods. Whilst technically not claimed as ‘toxic’ , sugar like caffeine, is one the most addictive substances in the hood….. more so than nicotine and heroin they say. Sugar really is the root of so much evil when it comes to our health. Hence one of the main aims of undertaking a detox, should be to crack your sugar addiction and nicotine while you’re at it, if you smoke. Just be sure to warn your friends when you do, as one of the hazards of sugar, caffeine and nicotine withdrawal is the temporary transformation into Mr or Mrs cranky pants. So if all this has not motivated you into doing a detox, then how about the cellulite factor? Toxins bind to fat and appear as that most attractive of female injustices – cellulite! Sure there may be the genetic and hormonal elements to developing cellulite, but these factors are underpinned by excess toxicity and when we mobilize fat through a detox, we also mobilize cellulite, Yeeeha! So when you wake up in the morning feeling like a lead balloon is tying you to the bed, or find yourself firmly clenching your buttocks all too regularly following a meal, for fear of killing those around you with a leaking gas, you’ve inherited the nick name “cranky pants” from your friends and family, or your having to apply foundation like paint to cover up those blotches and dark circles under your eyes, you know it’s time to give your long suffering body a flush and I’m not referring to using a hose! No I’m talking about an effective detox. I say effective because not all detox’s were created equal. 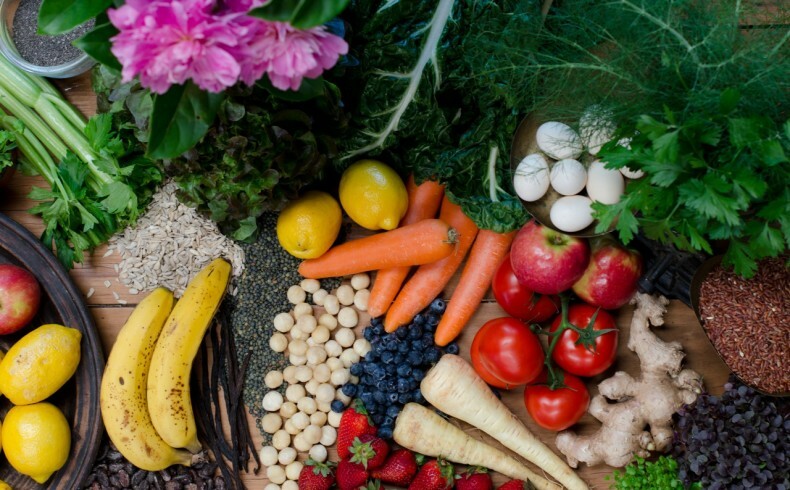 What Should An Effective Detox Program Do? and best of all you will feel happier, not to mention look healthier – thanks to those sparkly white eyes and clear complexion. Yep there is a lot to be said for doing a detox IF you do it the right way! The other thing you may not realize is that a proper detox is the best way to stimulate your metabolic rate, not only because the right detox program should teach you how to adopt healthy eating habits and break bad ones, but also because your newly functioning liver and bowel will have a direct impact on the function of all your hormones and the absorption of nutrients, essential for a healthy thyroid. Ideally you should be moving your bowels 2 – 3 times a day and they should be well formed, so if your bowel function is sluggish, so too will your metabolic rate. Imagine if you stopped taking out the garbage in your home at the rate that you were generating it? Your home would pretty quickly become uninhabitable and impact on your ability to function properly. So the same goes for our body and yet so many people I have treated over the years don’t have regular bowel movements, or worse still they think they do because going every second day or worse, is all they have ever known! Aside from stimulating our digestive system to clear out all the accumulated toxins and undigested food and re-gig our eating habits, an effective detox program should also include killing off any parasites or bacteria that may have decided to take up residence in your intestine. These slippery little suckers will end up gobbling up a good chunk of your good bacteria – better known as probiotics – which act a little like our very own built in army. I’ve mentioned before that there are trillions and trillions of these guys residing inside our intestine – more than there are cells in the entire body, so the long and short of it is, they have a pretty powerful role to play in influencing the function of every cell. Keeping your pro biotic colonies nicely topped up is one of the best things you can do for your overall health and digestive function, but remember, supplementing with a quality pro biotic is the last step in undertaking an effective detox. So what are you waiting for?! Get to it and give your body that clean out it deserves. If nothing else you will feel like you have been born again – after the odd day where your body may stage a mild protest by way informing you just how much garbage you have carelessly been tossing into it, with the odd headache or cranky day. BUT never fear, these are just symptoms experienced when you start stirring up the muddy sediment that lies deep within, better out than in I say! So give the gift of detox to your body this new year and your body will love you for it! Sally, what do you think about meal replacement protein powder drinks? There are many ‘diet programs’ out there suggesting replacing two meals – usually breakfast and lunch with a ‘diet’ or protein shake instead. Is this a good way to help detox and lose weight? Hi Farah, cutting out coffee completely is always recommended on a detox because caffeine is not only a stimulant and therefore triggers excess cortisol (a stress hormone) production, but it is also identified by the liver as a toxin and so for every coffee you consume each day, you are making your liver work harder than it would need to if you drank less. The other factor that is often overlooked with excess coffee consumption, is the milk – whether it be cow or soy milk ( as so many people are drinking now ) – I am not a fan of either for various reasons -which I will be covering in an upcoming blog, so stay tuned for this and in the mean time I recommend introducing coffee slowly after you have completed my detox program as returning to a daily coffee habit, will be a big shock to your adrenals and liver! You may even experience the physical side effects of this in the form of urgent or lose bowel movements and feeling racey from the caffeine! So observe your body’s reaction and then be gentle with it – ideally only a few cups a week and on the days you don’t drink coffee, choose a nice herbal tea such as fresh ginger and lemon grass – you will soon develop a healthy habit for this instead of too much coffee! the most critical element to an effective detox would have to be maintaining regular bowel movements! So often I see people taking things to assist with detoxification but they are not eliminating waste effectively through moving their bowels at least twice a day. This is a sign your detox program is working! This is why I have chosen the nutritional products I have in my detox program as they work to regulate healthy bowel function as well as re-colonise the bowel with strains of beneficial bacteria. The other key element would have to be drinking enough water during your detox. Many people dont realise that detox is actually a stress on the body as it is having to work harder during this time to process and eliminate accumulated toxins, so drinking enough water is essential for this process to occur easily. Increased bowel movements on a detox means you will be losing more water from the body, another reason to stay hydrated! And my third key element to detox – aside from those mentioned in my post – is to approach a detox with an open mind and gently rather than as something that is going to be really hard and stressful as you will only end up either putting it off, or making it harder than it needs to be. 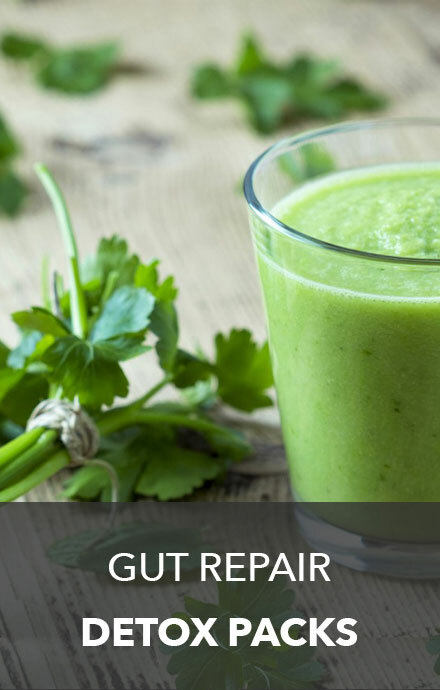 My approach to detox is not about fasting for days or weeks on end or just eating celery and mung beans – but rather through changing your eating habits by substituting unhealthy foods for healthier options that will aid in the natural detoxification processes. You can still enjoy 3 tastey meals a day and snacks and even a few not so naughty treats – hell you can even dine out on my detox program – provided you stick to my do’s and dont’s guidelines! I hope this gives you a little more information about detox. 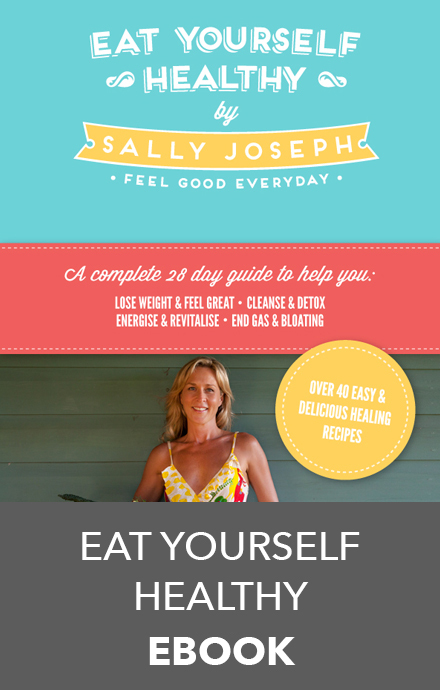 To find out more about eating on a detox and beyond for a healthy life – check out my e book Begin A Healthy Life In 28 Days as I cover this in far more detail. If you are interested in doing an effective detox that also works to repair your digestive function – check out my detox packs below. What are the key elements (apart from the obvious cutting out toxins, coffee, sugar etc) you believe that are vital to an effective detox ?